The big book holder incorporates 6 slots for storing children’s books. Designed for use in schools, pre-schools and nurseries. 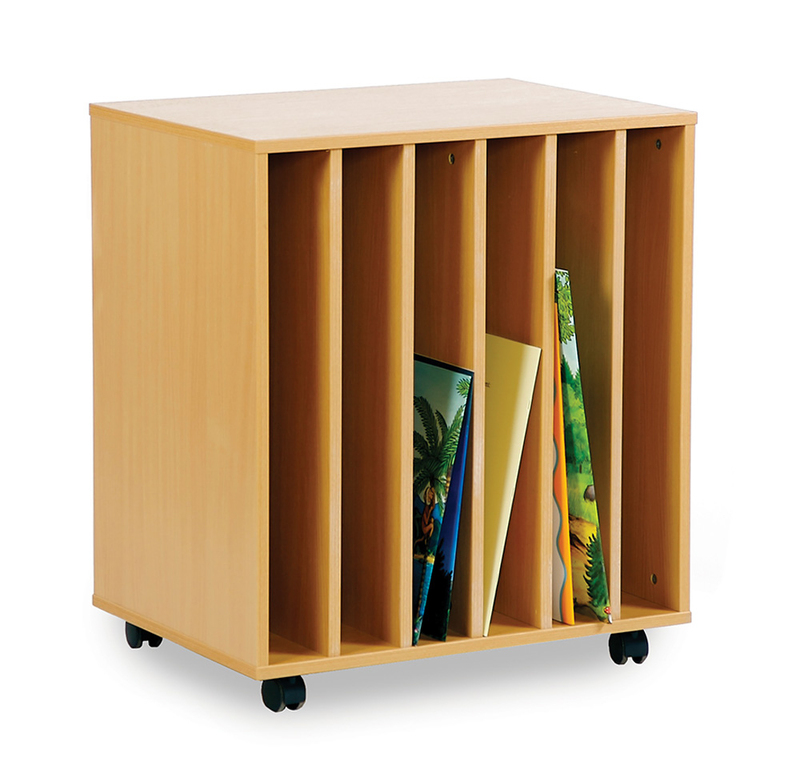 The big book storage unit can be situated in a school library or in a classroom reading corner. Constructed from 18mm MFC and comes in a choice of plain beech finish. Supplied with easy glide castor wheels for easy mobility if required so you can choose to have the big book storage unit static or mobile. View our full range of Children's Book Storage.